Variants of roulette games are now in the casino pits. 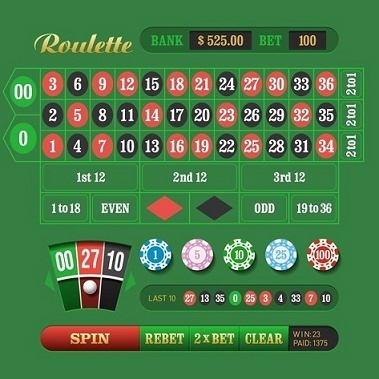 Most popular table games have some sort of variant and roulette is no exception. In addition to the traditional roulette wagers players can make, seven colored sections have been added to the wheel pockets. There are five blue, four purple, and three teal. These are known as the cool sections. Also included are three hot sections, five orange, four pink, and three yellow along with one white section that has eight pockets. The sections are referred to as neighborhoods. The colored sections are multi-spin wagers in that the bet will not lose if it lands on a color other than your choice except for white. For example, if you wager $5 on pink and it lands on one of the yellow numbers, your $5 is still in play. This is known as a push. (No win, no loss.) However, if the ball lands on one of the white numbers, you lose but if you like white you can bet it. A push also occurs if the ball should land on one of the two green numbers, (0, 00) or one of the two remaining red (25, 36) or black (26, 35) numbers. The bet is player friendly in that a bettor has three options in a push result. He or she can let it ride, add to it, or take it down. The color selections are outside wagers so the table minimum is required. In summary there are only eight ways to lose with a color bet on a thirty eight number wheel.